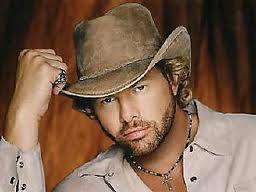 Toby Keith is the reason I love Country music. 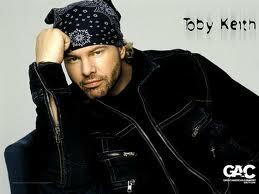 Even if you aren't a fan of his music there is no denying that he is just a cool guy. I don't know any musician that has more pride than him when it comes to this country and he has never stopped showing it. 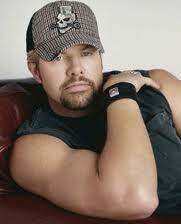 More importantly, he sings some damn good songs about boozing which everyone here can relate to. Normally I like to mix up my pictures...some with a shirt..some without but Toby doesn't seem to have too much out there. In fact, finding a picture of him without a shirt is about as easy as finding one of him without a hat. Neither exist. I know a while back he made Derek's list of people he'd like to have a beer with so when that happens can you let him know we are waiting for a different picture? Nothing really changes in these pics except the clothing but at least he looks hot in all of them!